Fritz Theodor Albert Delius was born in Bradford, Yorkshire, England, on January 29, 1862. His father Julius was a wool merchant, and although he never considered music a proper livelihood, he encouraged its performance in the home. Young Fritz played piano and violin quite well. But off he went to college, after which he worked in his father's wool business for over three years as a travelling representative, visiting Sweden, Germany and France. His travelling around, and his frequent straying to romantic places like Norway and the French Riviera, resulted in a cosmopolitanism (and even an occasional anti-England bias) that was to stay with Delius for the rest of his life. Delius' interest in music continued to consume his thoughts, to the neglect of his wool-biz representative duties. His frustrated father allowed Fritz to move to Florida, USA, to manage his orange plantation (Solano Grove, south of Jacksonville). The young romantic Delius was to absorb the unique natural beauty along the St. Johns River, as well as the rich harmonic vocal improvisations of the local black slaves. He obtained a piano, met local music teacher Thomas Ward, and immersed himself in music, again to the neglect of his father's business. 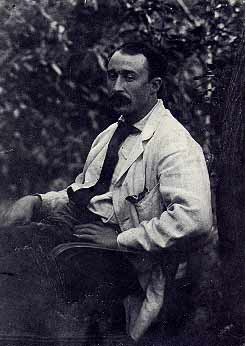 Delius was to later write: "In Florida, through sitting and gazing at Nature, I gradually learnt the way in which I should eventually find myself....(and) hearing (the Afro-Americans') singing in such romantic surroundings, it was then and there that I first felt the urge to express myself in music." 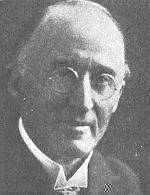 After leaving Florida in 1885, Delius taught music lessons in Danville, Virginia for a year. But Fritz was ready for more serious musical pursuits, and his friendship with the Norwegian composer Edvard Grieg was instrumental in finally convincing his father to allow him to leave Florida and pursue music studies at the Leipzig Conservatorium from 1886-88. For the next 10 years or so, Delius lived in Paris, befriending many artists, writers, and musicians - indeed, this was another pivotal period in his life, in that so much of his output was to be influenced greatly by the literature and art to which he was exposed at this time. Thus began an extraordinary life of constant composing, hiking through his beloved Norwegian mountains, marriage to the artist Jelka Rosen, settling in the French town of Grez-sur-Loing, and an ever-increasing group of friends and admirers. (It was in 1902 that he anglicized his name to "Frederick"). His work was temporarily suspended by the First World War, during which time he and Jelka had to leave Grez and reside in England and Norway. But afterwards, composition continued until the mid-1920s, when the symptoms of his previously-contracted syphilis forced his retirement from composition. Ailing with pain, blindness, and paralysis, Delius remained in Grez with his devoted and angelic wife Jelka, and a steady stream of visitors and admirers. By this time, Delius had composed numerous tone poems, songs, six operas, a Mass, a Requiem, incidental music, concerti for violin/cello/piano, violin and cello sonatas, and two string quartets, amongst other works. The arrival in 1928 of young ammanuensis Eric Fenby facilitated the composition and completion of several wonderful Delius works. This truly heroic accomplishment was portrayed in both Fenby's book "Delius As I Knew Him" and Ken Russell's BBC film "Song of Summer". From this period comes arguably some of the most poignant and profound works by this unique composer. The conductor Sir Thomas Beecham was to embrace the work of Delius, championing it whenever he could, culminating in a 6-concert Festival of Delius' music held in England in1929, which Delius attended with great pride and satisfaction. He was to tell Eric: "I have only one wish as far as my best music is concerned - I want Thomas to record it all". Delius died in 1934. Delius' music is lush, impressionistic, rhapsodic, with meanderingly elusive and very rich chromatic harmonies. His primary concern was beauty and flow in his music. Sir Thomas Beecham stated that Delius was "the last great apostle in our time of romance, emotion, and beauty in music". His primary influences were Grieg, Wagner, Chopin, Debussy, and R. Strauss. His music is instantly recognizable and has been extremely influential to 20th-century composers, both in the classical and jazz genres. He is best known for his gorgeous tone poems (e.g., On Hearing the First Cuckoo in Spring, Summer Night on the River, Brigg Fair, Walk to the Paradise Garden, etc.) and his works for voice(s) and orchestra (e.g., Sea Drift, Songs of Farewell, Songs of Sunset, A Mass of Life, etc.). A recommended starting place for exploring the unique world of Delius' music is the 2-CD set "Beecham Conducts Delius" (EMI CDS 7 47509 2) - also recommended is the 2-CD set "Delius - Orchestral Works" conducted by Sir John Barbirolli (EMI Classics ZDMB 5 65119 2). Bill Thompson's superb Music of Frederick Delius website. The Frederick Delius Discussion Group was launched to facilitate discussion and news/information posting with regard to Delius and his music - recordings, books, performances, societies, festivals, etc.. For more information: Delius Discussion Group.